Home baked products are usually better in quality, and most importantly, it goes easier on your wallet. Free from MSG, preservative, and artificial flavor & coloring. You can even make different flavors and shapes. My main trick to produce tender sliced pork is to add some pineapple jam into the marination. Yes, we do not need meat tenderizer here. Let the enzyme in the pineapple do the job for us. (1) Combine all ingredients and marinate for at least 5 hours or overnight. (2) Preheat oven to 180deg Celsius. Line oven tray with baking paper. (3) Roll small lump of seasoned minced meat into ball and place on baking paper, leave space around it. Repeat step. (4) Flatten meat balls till very thin pieces (less than 1cm thickness). Air dry for 2-3 hours. Bake on middle rack for 20 minutes. (5) Open oven door to brush honey on the half-baked coin porks. Increase temperate to 220deg Celsius, continue baking for about 5 minutes. Flip coin porks over, brush honey, and bake for another 5 minutes, or until browned and glossy. Cool and store. 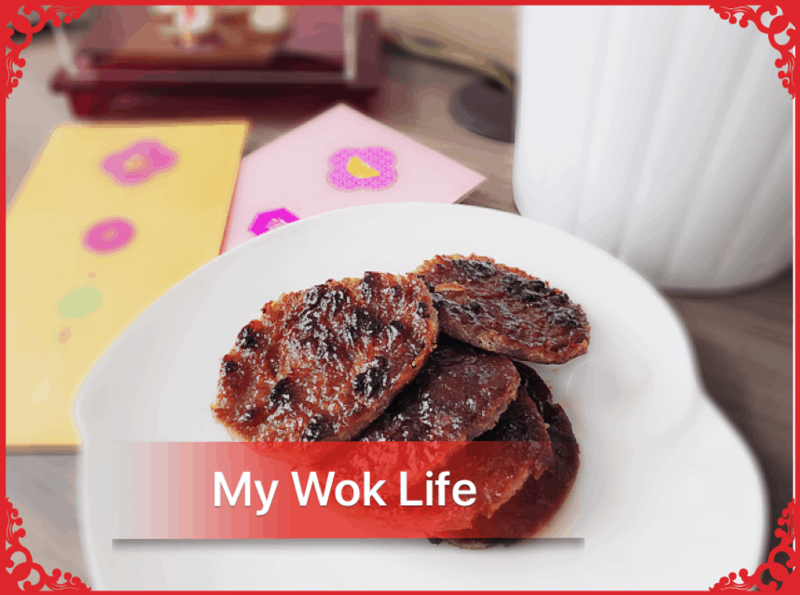 A piece of BBQ gold coin Bak Kwa counts about 60kcal. 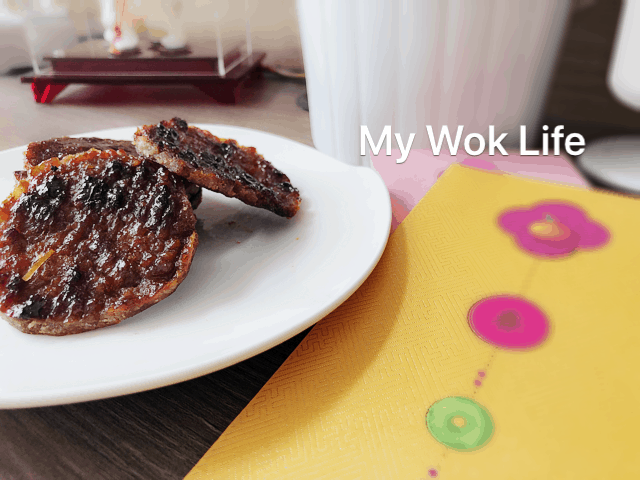 Tips: Freshly baked Bak Kwa can last about 1-week. * Mirin can be replaced with Chinese Hua Diao Wine. I personally prefer Mirin for its slight sweetness. 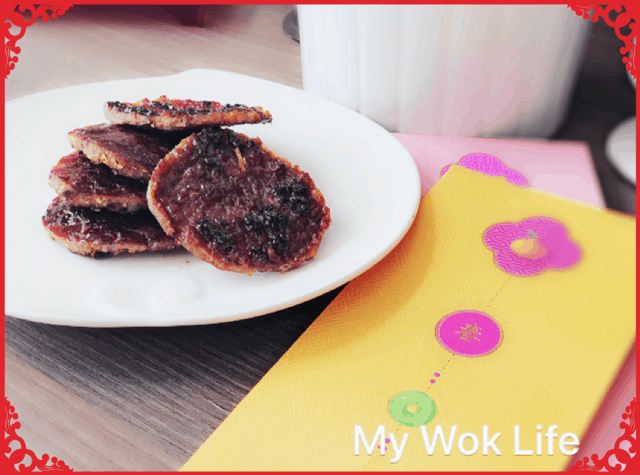 * Flatten the minced pork as thin as possible as it will shrink and raise in its thickness after baked. * Add chili oil for spicy flavor. * To make normal squarish slices, simply spread a thin layer of the minced meat over baking tray. 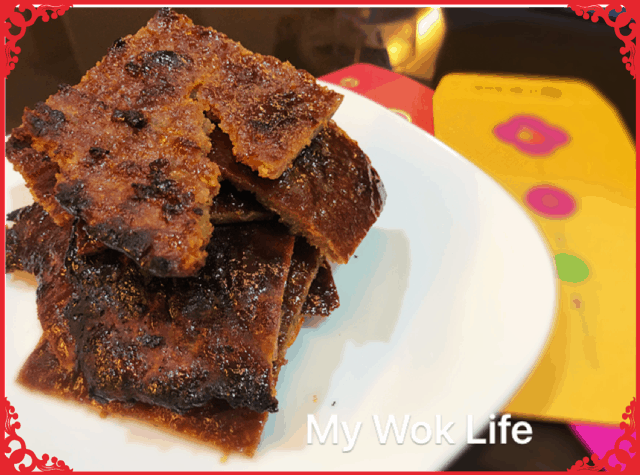 * Bak Kwa can be toasted on charcoal, too.